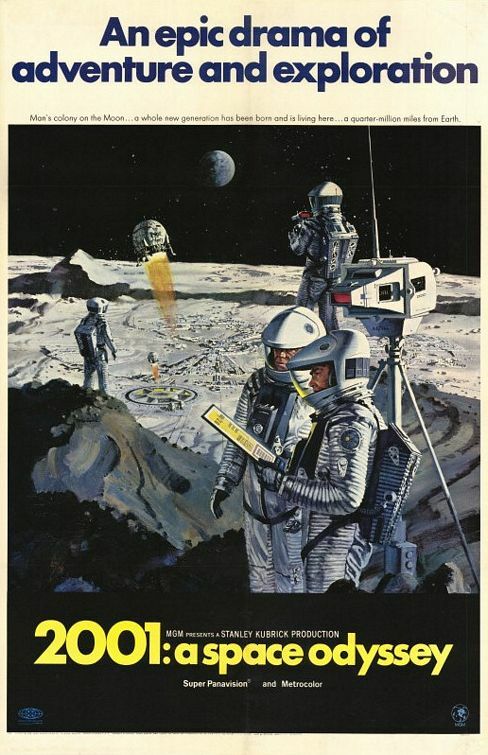 Stanley Kubrick's 1968 epic sci-fi movie 2001: A Space Odyssey was inspired by Arthur C. Clarke's short story The Sentinel and chronicled a series of encounters between humanity and mysterious black monoliths and their apparent involvement in human evolution. 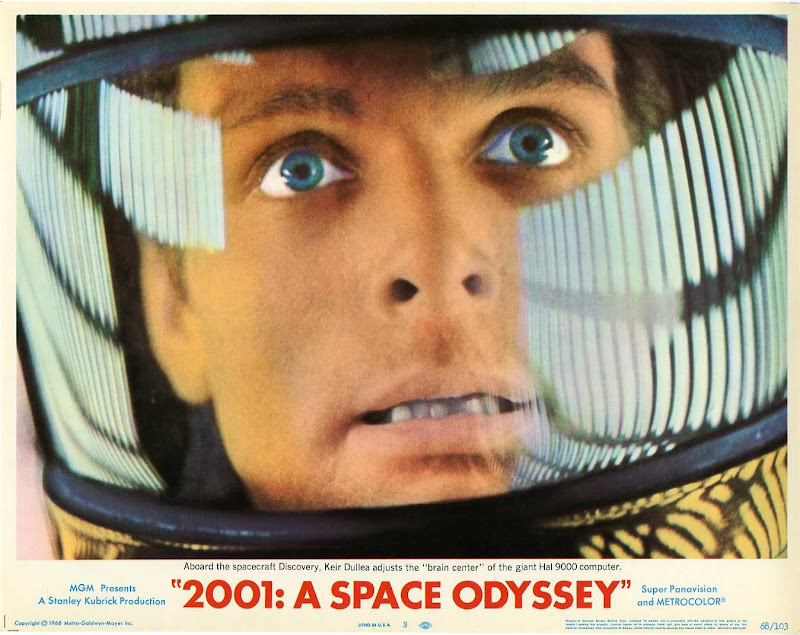 Keir Dullea and Gary Lockwood star as astronauts who undertake a fantastic voyage with the sentient computer HAL 9000 after discovering such a monolith on the Moon emitting a signal into space. 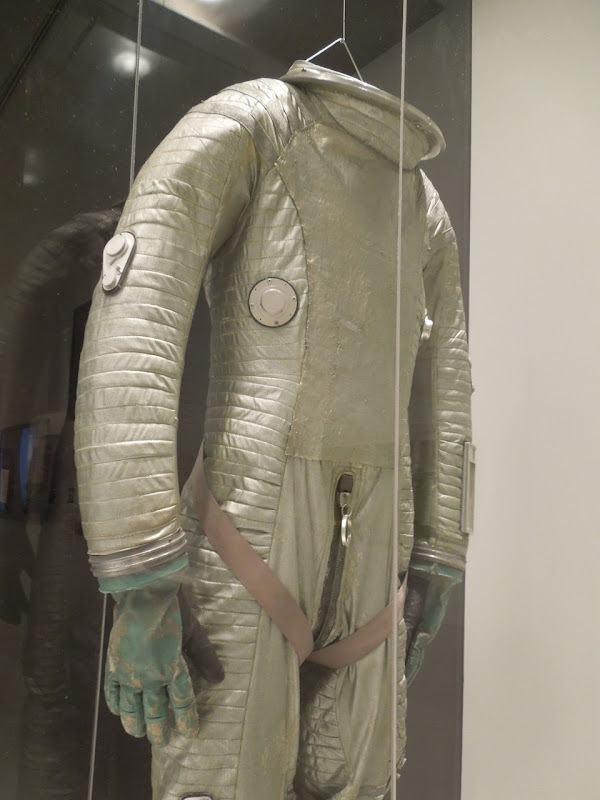 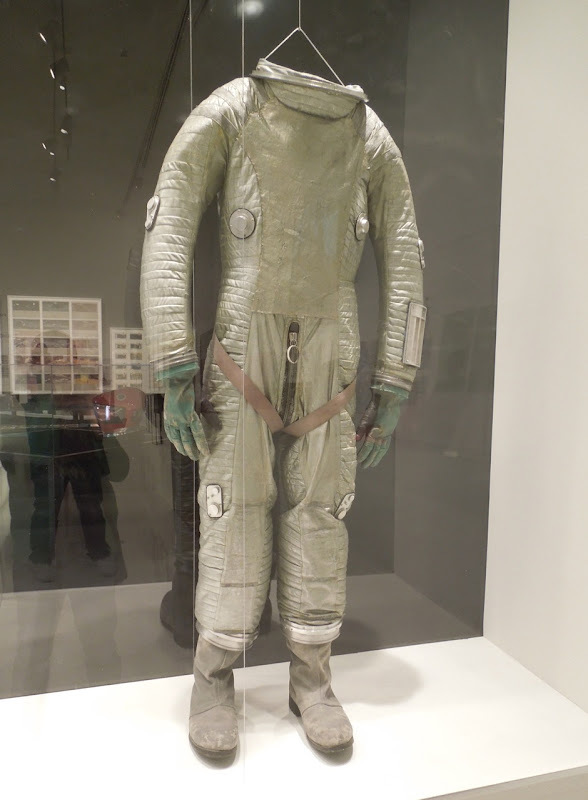 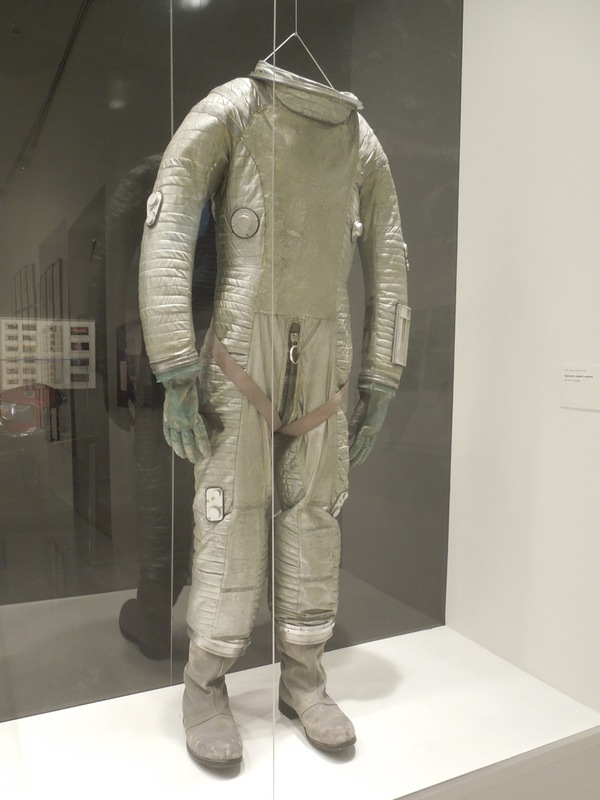 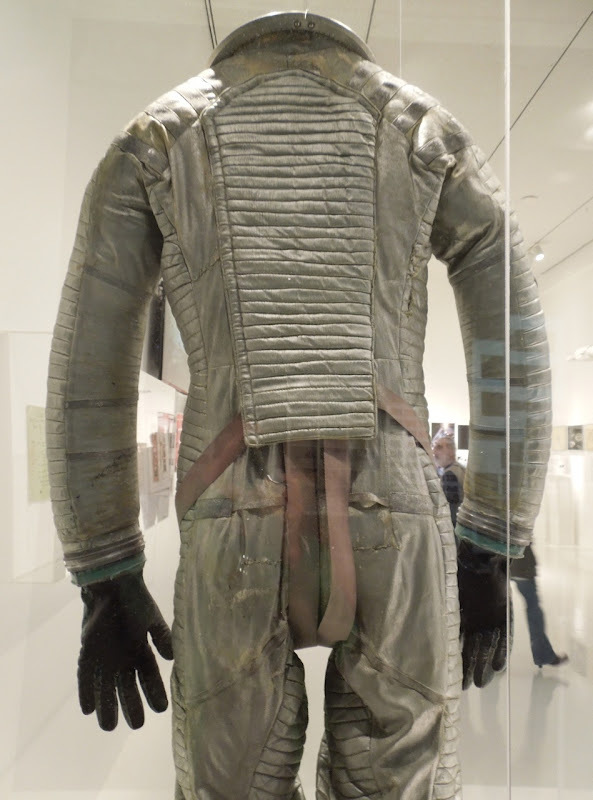 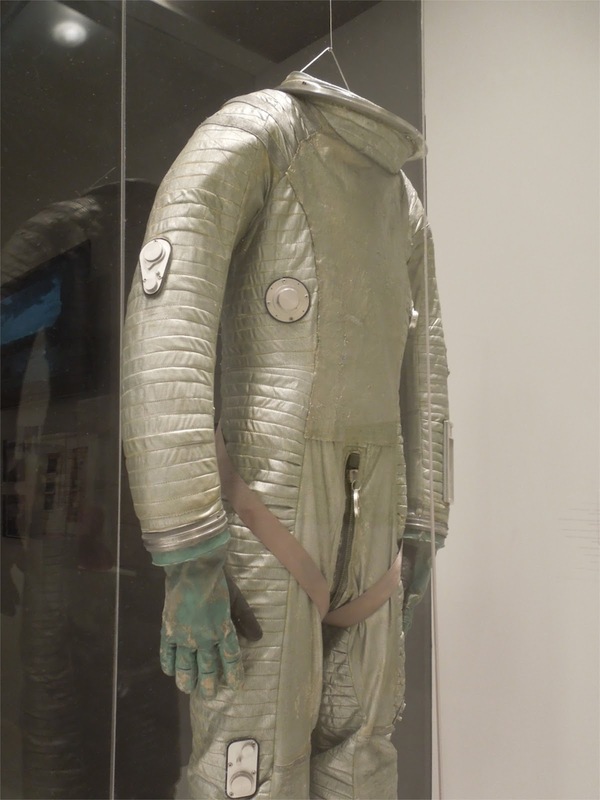 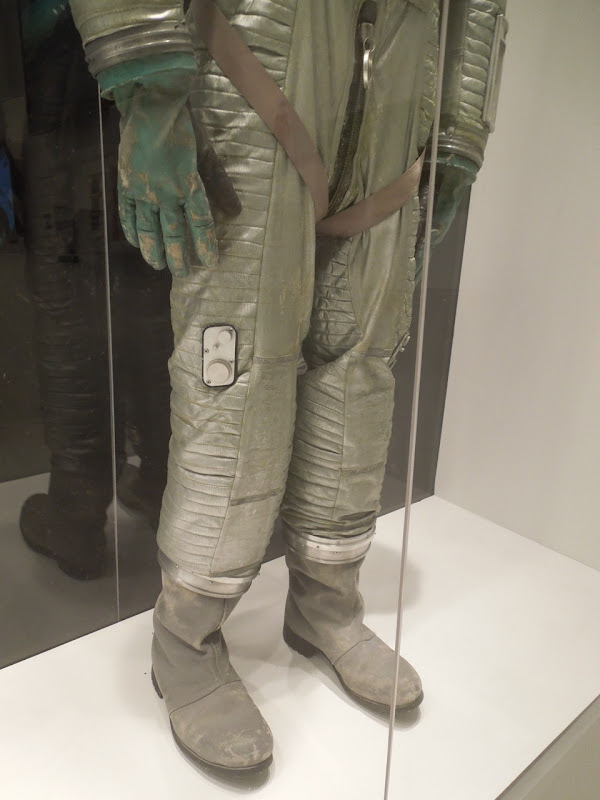 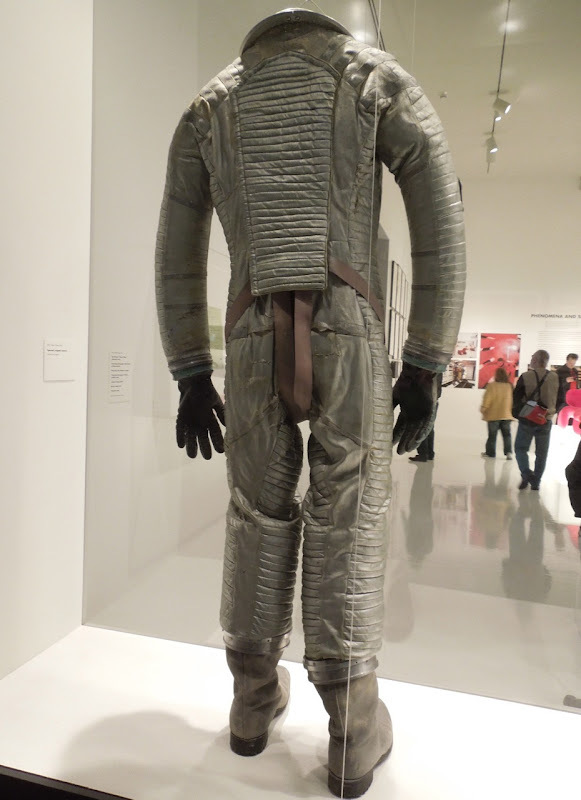 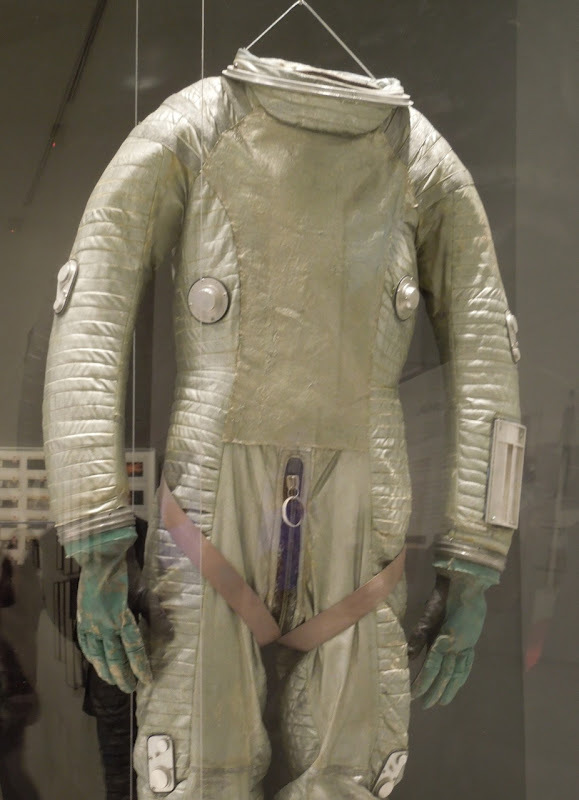 This original spacesuit featured in the science fiction classic was photographed on display at the Stanley Kubrick exhibit at the Los Angeles County Museum of Art (LACMA) on January 10, 2013. 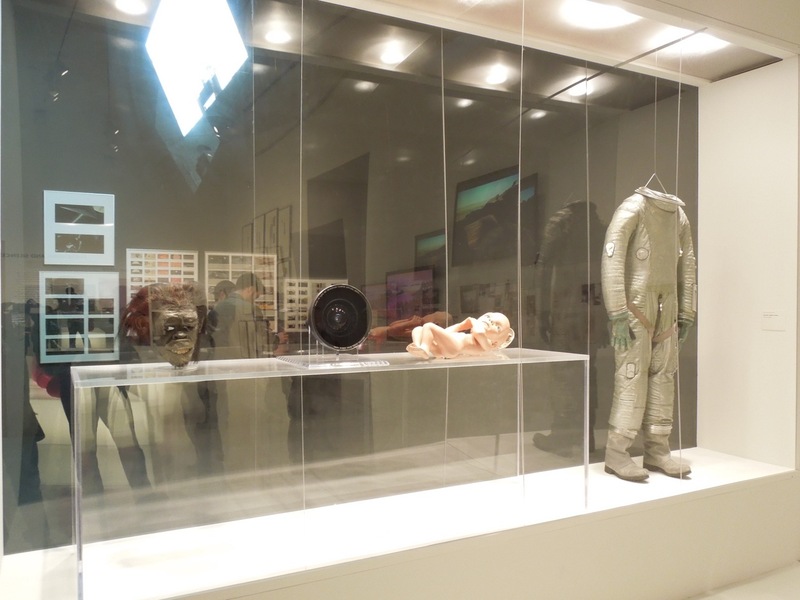 Hardy Amies was the Costume Designer responsible for the futuristic fashions depicted in 2001: A Space Odyssey. 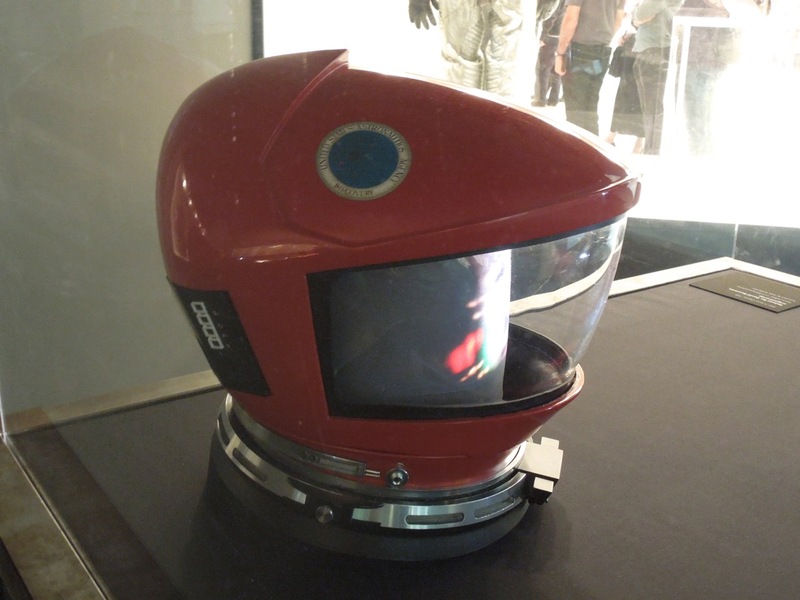 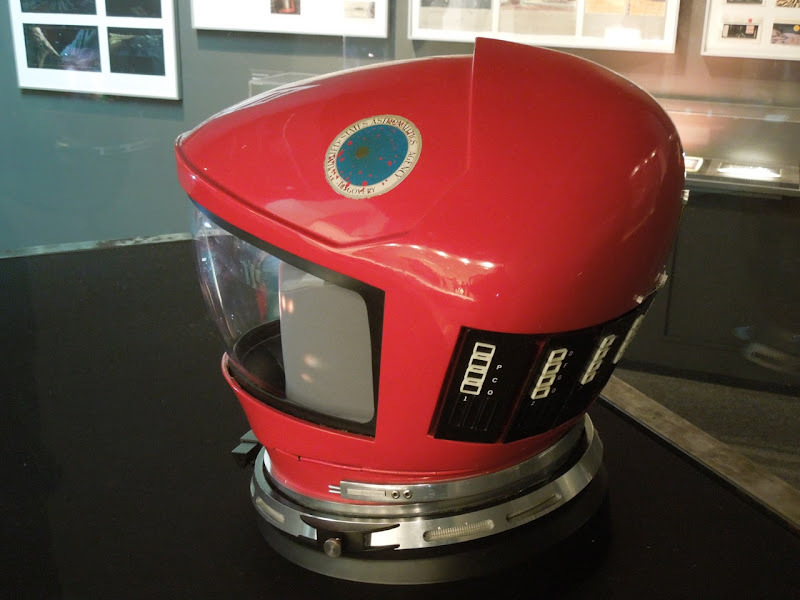 Also on display with the spacesuit was this red helmet from a different spacesuit worn by Keir Dullea as 'Dr. 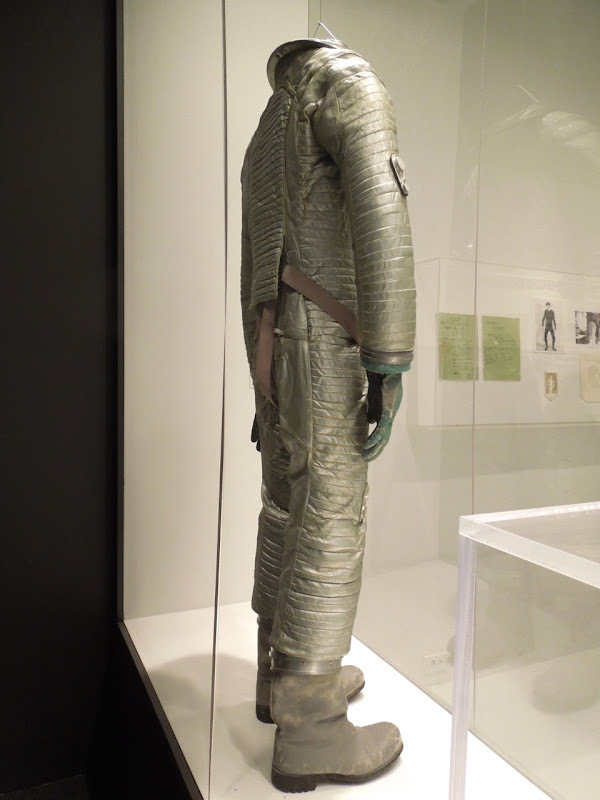 David Bowman' in the movie. 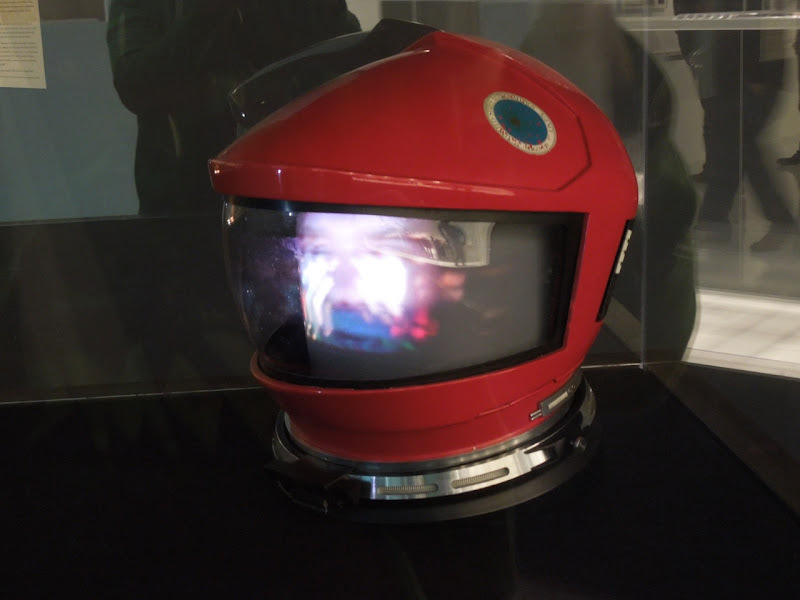 For the exhibit they cleverly projected the actor's likeness onto the visor of the helmet to recreate the feel of the movie.